Giacomo Bartolommei represents the 4th generation of Bartolommei’s to make wine for the Caprili Estate. The young, energetic winemaker is only 24 years of age, but has honed his craft admirably and is producing wines of excellent caliber that regularly receive Tre Bicchieri awards from Gambero Rosso. It was back in 2012 that I first sat down with Giacomo to interview him about his family winery and the exciting developments on the estate. 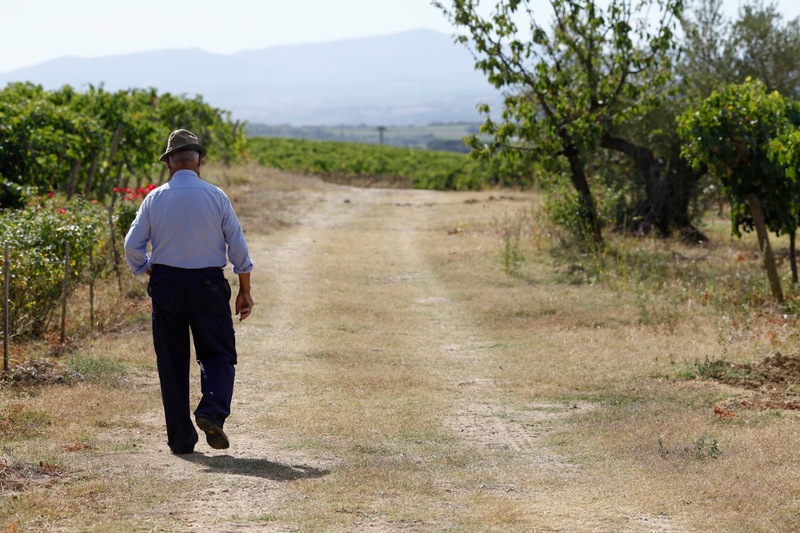 Today, we’re looking forward and back; re-visiting with Giacomo for an update and spotlighting his estate’s newest release, the 2010 Brunello. I’m excited to chat with you again – it’s been since June 2012 when we did our first interview. The 2006 Brunello were just being released and 2010 was only a dream still in barrel. Let’s start there for a moment. Your 2006 Riserva is now Tre Bicchieri and what do you think about your 2010? After years of hoping for a great benchmark vintage, it sure looks like 2010 is the best since 2006, if not earlier. What do you think? Giovanni, thanks for having me again here to speak with you and your readers! I actually had my last three vintages of Riserva (2008, 2006 and 2004) Tre Bicchieri, an amazing success for my flagship wine. I’ve been considering these vintages the perfection for Caprili and I was really happy to receive those awards. 2006 is the classic vintage of Montalcino with the elegance of austerity, 2004 is the powerful version with tannins still rude, and 2008 is a mix of the previous two! We will see what will happen next year with 2010! You should be proud. Not too many producers even bothered with a 2008 Riserva, let alone made one that was Tre Bicchieri. Quite the feat! What about the 2014 vendemmia? We’ve discussed that a bit already. 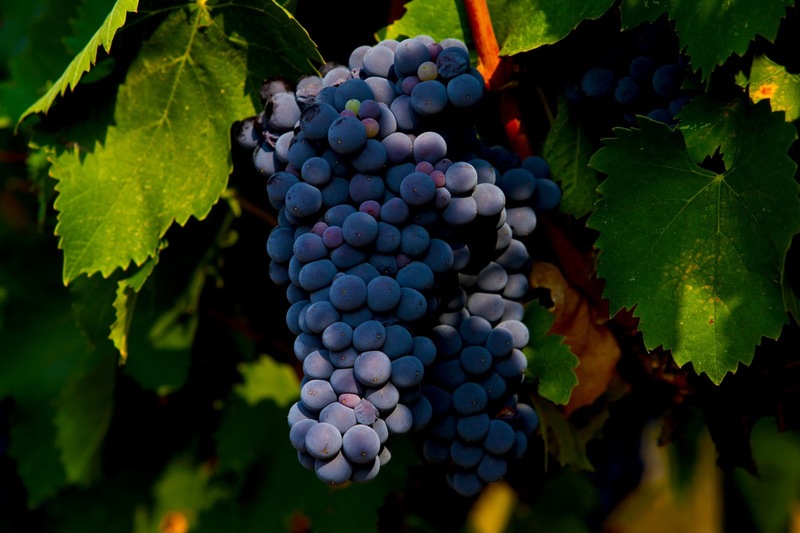 What do you think about producing a Brunello? There are many producers who are not, but I’ve also heard that many will – albeit in very small quantities. I think there is a matter that one mustn’t forget. Montalcino is a territory of 24,000 hectares and it’s going from 140 meters to 622 meters above sea level. It’s a big territory and climatic conditions can change every 5 km, and this makes a big difference on the wines of Montalcino’s territory. With 2014 we can see many different wines and to be honest it should be a good vintage with a short term drinking window. We are going to release some. We have two vineyards that worked well and are aging quite good, so we will see in 2019! But for sure we are not going to release 30,000 bottles as with regular vintages and of course, no Riserva. I think we will follow the line of 2009 and 2002 in just releasing a third of our normal production. So tell me then – what is new at Caprili? Beyond your recent Tre Bicchieri awards, what are you excited about that you’d like my readers to know? Well this year we are celebrating the 50th anniversary of ownership of Caprili. We just bought the estate in winter 1965. 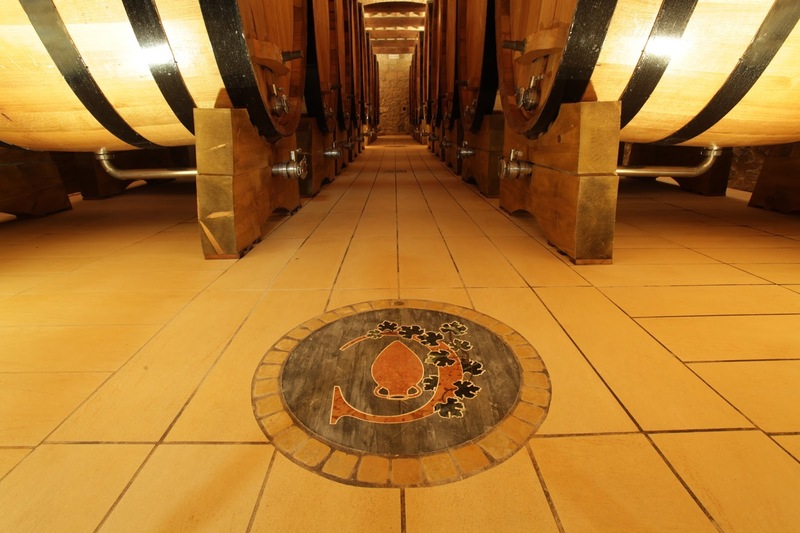 We are going to inaugurate the new cellar in late August! Auguri amico! That is certainly exciting. Tell me about the cellar project, what exactly did you do? Grazie Giovanni. In the past, we had our bottling and aging areas in separate buildings. The new enlarged cellar will be re-organized and allow us to have everything in one building. We are excited and as I say, the cellar will be inaugurated in August and ready for the 2015 harvest. And what about the 2015 harvest? It’s been very hot in Montalcino recently. How are things progressing so far at Caprili? Obviously it is still early but I’m having a great confidence despite the hot weather for the moment. The maturation is growing really well and we are almost one week in advance on the veraison. Giacomo, there have been many scandals and non-flattering stories swirling around Montalcino recently – from the counterfeit wines that were discovered, to the ongoing feud between Soldera and the Consorzio and now to the cocaine smuggling ring that was exposed in January. How are these types of stories received in Montalcino? It’s a small town and everyone knows everyone else. I sensed a “here we go again” attitude from many I spoke to. What do you think? It’s hard. What to say? I call it news hunting and in Italy we are good on making blasting news that’s needed for selling more copies of a newspaper. I think there is no correlation with wine matters and people’s personal life, especially when we are speaking of people working in the estates and not known to the general public. I think the only news related to wine that we read recently was Brunello-gate. The rest is like gossip and not for me. So, now we’re turning to the 2010 Brunello right in front of us. The wine was decanted for about 45 minutes prior to tasting. In the glass, it’s a beautiful deep ruby with violet reflections and a faint trace of copper out at the rim of the bowl. The aromatics are intense and feature a large core of crushed morellino cherry, freshly cut flowers, lavender, and spice. It’s lovely to smell! On the palate, this 2010 is large scaled with loads of ripe, dusty tannins that are well integrated with an enormous core of wild cherry fruit that is persistent and mouth watering. The traces of new leather and freshly turned earth hint at the complexity to come in this fresh, lively, full bodied wine. Gorgeous! Very impressive indeed. 95 points. About $50. Prego, amico. The 2010’s are showing so well. But let’s wrap this up with another look ahead. 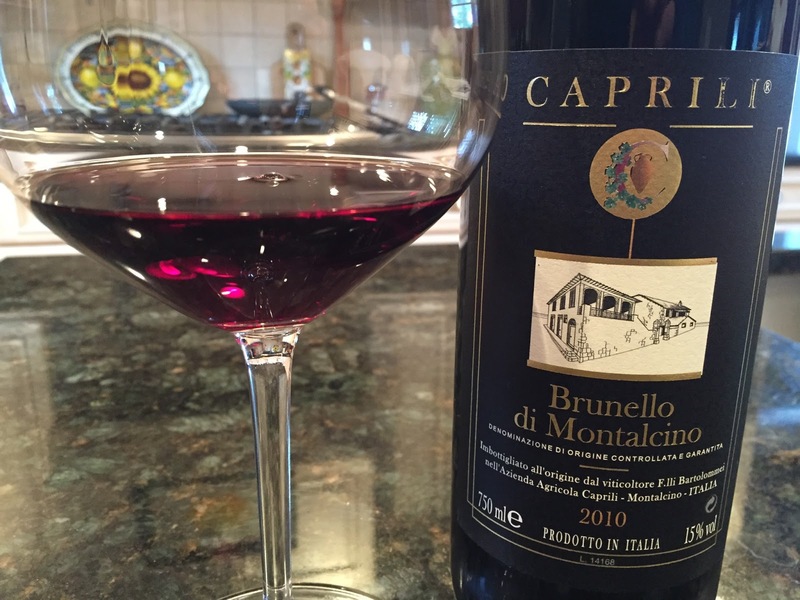 What of the 2011 Brunello? They’re in bottle now, correct? Yes, the 2011s have been bottled and they’re resting. They are developing well and I was well surprised how the wine is showing at this moment. There is still a way to go, but I think the 2011s will be very good once they are released. Giacomo, thank you again for dropping in and chatting with me. Keep up the excellent work at Caprili and we’ll chat again soon. Very good interview. Quality product. Donna and I each had a glass of the 2010 Caprili with lunch one day at La Dolce Vita in Montepulciano. It was everything you wrote. Went very well with some pecorino cheese. Definitely a buy. By the way, if you are ever in Montepulciano, La Dolce Vita has an excellent wine selection by the glass and is a very comfortable place to enjoy a light, quiet lunch. Joe, thanks for the comments. Caprili is really on a roll and this 2010 is excellent. I've been tasting through dozens of 2010s and have yet to find one that isn't charming. Thanks for the tip on La Dolce Vita. Sounds like a must from the name alone!